The Legend Of Zelda: Breath Of The Wild is a remarkably complex game, but as its creators showed off during several various post-release appearances, it took a prototype that mimicked the old-school look and feel of the original Zelda to convince the company’s higher-ups that it could work. There may come a day where that 2-D Breath Of The Wild becomes more than just a neat footnote in the development of an all-time great game, but with that day nowhere in sight, one bold fan has stepped up to turn this unplayable experiment into a reality. 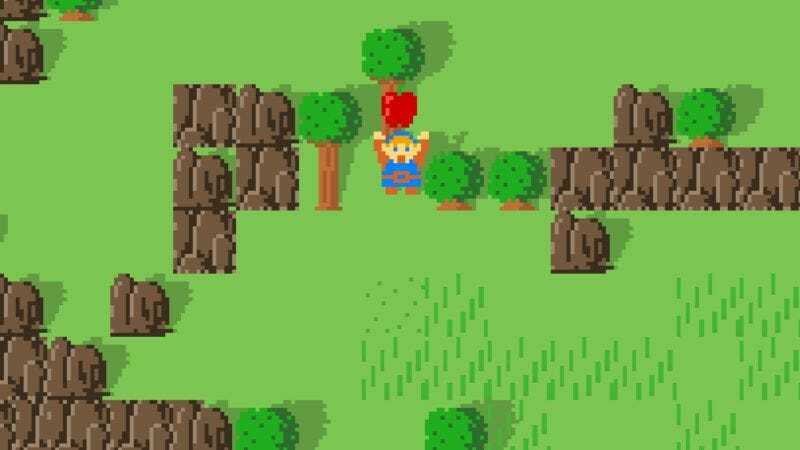 Called Breath Of The NES, it looks like Zelda did on Nintendo’s retro console, with a few modern improvements to lighting and animation, but it takes on plenty of Breath Of The Wild’s living-world complications. Link can cut down trees and roll around the logs, set fires, and gather food to heal his wounds. Winter Drake, as the game’s developer is known, has even brought some new hazards into the 2-D world, like spikes that can harm both Link and Hyrule’s nasty beasts, assuming you’re crafty enough to use them. Development is ongoing, but Winter Drake has made an early demo available for download. The world is still relatively barren and the game is damn hard, but it’s enough to give you an idea of how these modern game concepts work in a retro environment. Nintendo has gained a reputation for shutting down fan games that use their characters and properties. In an interview with Kotaku, Winter Drake said they’ll continue working on Breath Of The NES even if Nintendo drops a cease and desist, albeit with original characters. “I’m having way too much fun creating this world to just give up,” they told Kotaku.